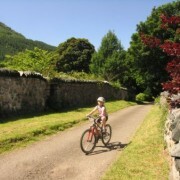 A route for all the family. The first couple of miles from Clachaig Inn are on quiet single track roads, and there’s a nice bit of downhill gradient to get you into the swing of things. 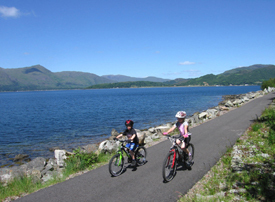 The new bike paths provide both an important link between scattered rural communities and a valuable addition to the local tourist infrastructure. 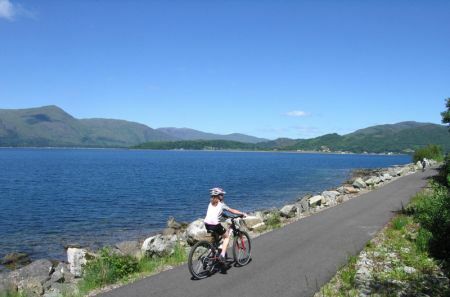 Being able to travel safely by bike amidst such gorgeous scenery is a must, and so the ride from Clachaig Inn in Glencoe to the Holly Tree Hotel at Kentallen Pier is a delight. 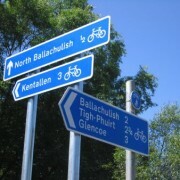 Nearer the village, the first sections of the Glencoe Orbital Track will take you off the road as far as the Hospital Drive. 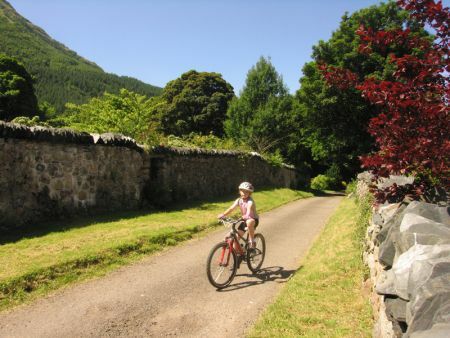 In time, it is hoped that there’ll be a path all the way along the old village road as far as Clachaig, where it will then meet up with a return down the glen, past An Torr and Signal Rock and then back to the village by the National Trust for Scotland Visitor Centre. 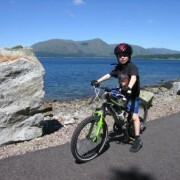 If you haven’t got your bikes with you, then try hiring from Crank It Up Gear. 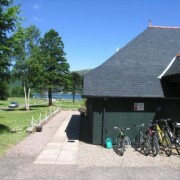 Leave your car in the Glencoe Village car park and start the journey from here. From Glencoe Village, the route uses the old section of road past Craft & Things (save your coffee and cake stop for the return!) and along TighPhuirt. 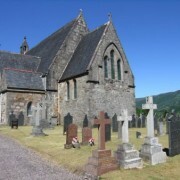 Sections of new tar then take you along past Ballachulish Village and towards the impressive setting of St John’s Church. 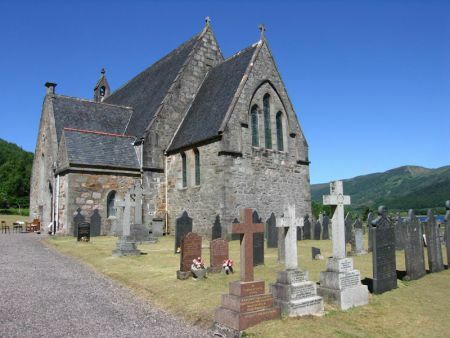 Built in 1842, the present church is now in need of repair and restoration and attempts are being made to raise the estimated £1m required. 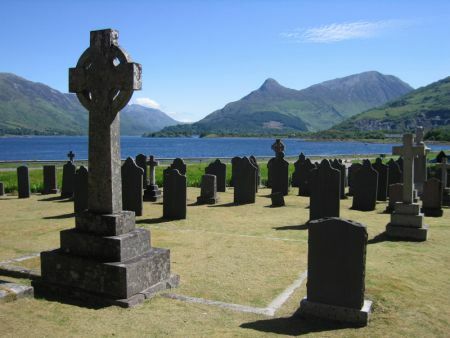 It’s definitely worth stopping to take in a bit of history, and to also marvel at the panoramic views across Loch Leven from the church. 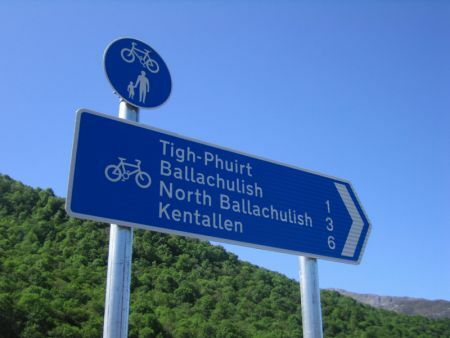 More smooth tar will take you to Ballachulish roundabout next. 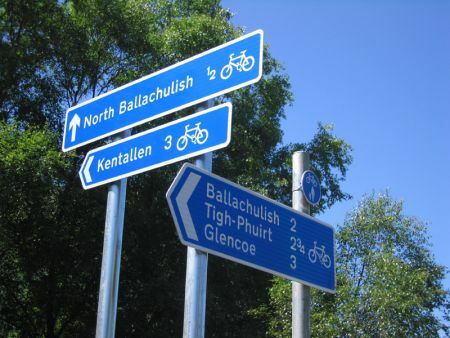 If you’re heading for North Ballachulish, continue on over the bridge, but we took a left turn along the old Ballachulish railway line, which continues through Glenachulish and is currently rideable all the way to Kentallen Pier. 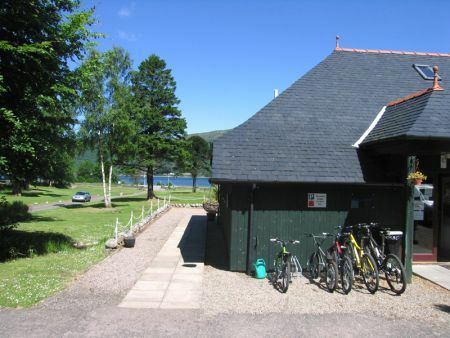 But a little more exploring and a much needed coffee break might well be in order required, so once in Glenachulish take a right turn off the Sustrans track and headed down past Ballachulish House to the Dragon’s Tooth Golf Course. 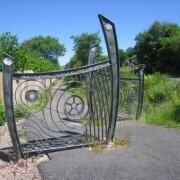 Simply exploring this hidden corner of the area is a good enough reason to head down to The Gathering Place, but equally, the prospect of coffee, cakes and a more extensive bar menu might tempt you! 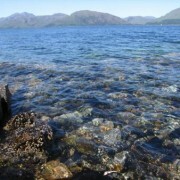 Back on the bed of the old Ballachulish to Oban railway line, the views open out, and on a nice day it’s just amazing. 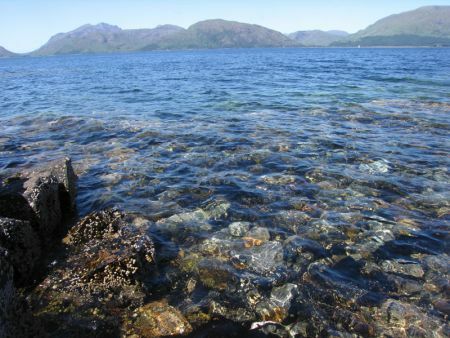 The views across Loch Linnhe to the Ardgour and Morvern hills are the best you could wish for. There’s a few little shingle beaches and coves where you can get off and search for crabs, watch the cormorants, or simply take a snooze. 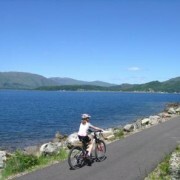 The Sustrans route will hopefully continue beyond the Holly Tree Hotel, all the way to Oban and beyond. 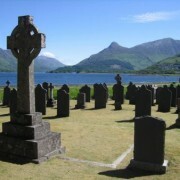 The latest progress update – summer 2010 – can be found here, along with a useful map. When it does it will be a superb journey. For now, you need to join the road again as far as the bad corner at Lettershuna, where you can join another section of track past Castle Stalker and the Strath of Appin. 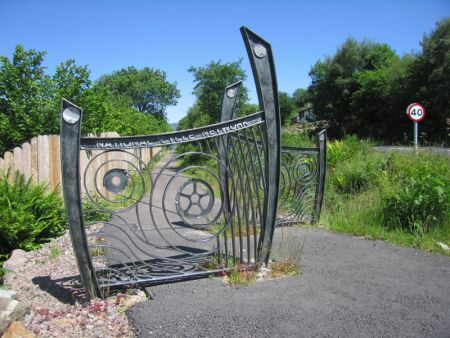 Further on, there’s also a complete section from Creagan Bridge to the Sea Life Centre. In the meantime, take a while to enjoy the view (and a beer!) 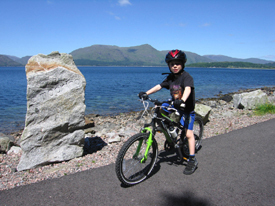 at the Holly Tree before jumping back on your bike and doing it all over again in reverse! 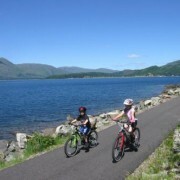 Photos from the biking between Clachaig Inn, Glencoe and the Holly Tree Hotel, Kentallen Pier, on the new Sustrans Cycle Route. 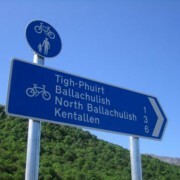 Much of the route – from Ballachulish roundabout onwards, utilises the bed of the defunct Ballachulish to Oban railway line.